The goal of this study is to define the clinical features, pathogenesis and key investigation findings of fasciculation anxiety syndrome in clinicians (FASICS). Twenty consecutive clinicians presenting with fasciculations were prospectively assessed with serial clinical and neurophysiological evaluations. 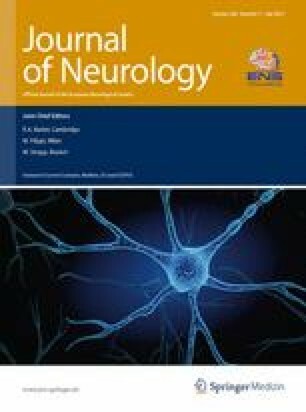 Clinicians with fasciculations formed three groups: 70 % of clinicians experienced symptomatic fasciculations and anxiety about the possibility of amyotrophic lateral sclerosis (ALS), termed FASICS; a further 15 % of clinicians experienced fasciculations associated with cramps and consistent with cramp-fasciculation syndrome (CFS). The final 15 % of clinicians presented with fasciculations associated with sensory symptoms or muscle weakness and were diagnosed with neuropathy (10 %) and ALS (5 %). In FASICS, fasciculations most often involved the lower limbs, without evidence of muscle weakness on clinical examination. Exercise, stress, fatigue and caffeine consumption were identified as common exacerbating factors. Neurophysiological studies confirmed normal nerve conduction studies and the presence of simple fasciculations, without acute denervation or neurogenic motor unit changes. Antibodies to voltage-gated potassium channels were assayed in each clinician and were not detected, and systemic autoantibodies were detected only in clinicians with features of CFS. FASICS is a disorder common among physicians presenting for evaluation of fasciculations. The present study delineates the diagnostic features of FASICS and contrasts the clinical presentation with other causes of fasciculations in clinicians. We gratefully acknowledge Professor Angela Vincent (Oxford, UK) for performing anti-VGKC antibody testing. Funding from the National Health and Medical Research Council of Australia and the Motor Neurone Disease Research Institute of Australia is gratefully acknowledged. The study was approved by the South East Sydney Area Health Service Human Research Ethics Committee.